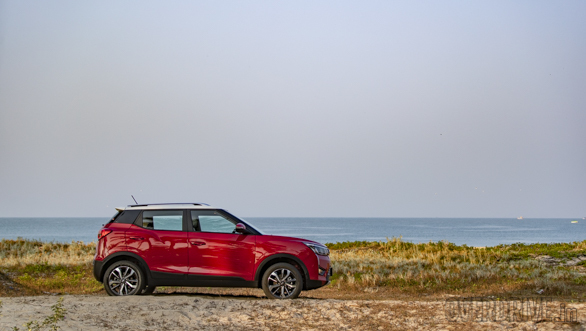 It's fitting that we took the new Mahindra XUV300 to Cabo de Rama in South Goa. 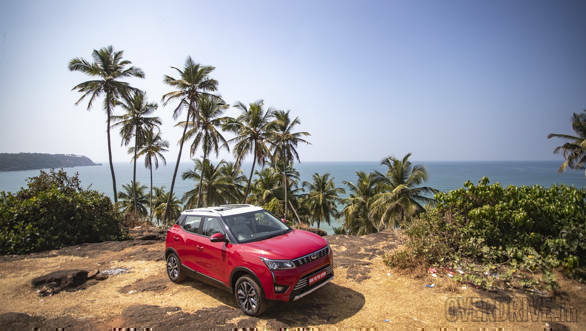 The clear blue sea crashing against the rocky cliff face here seemed like a perfect analogy for how SUVs, especially small ones like this Mahindra, are breaking the established order of what a family car looks like. 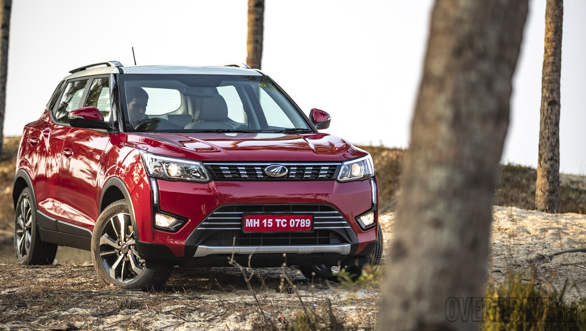 The 2019 Mahindra XUV300 is the firm's first pointed crack at the sub-four-metre SUV. Sure there have been the Quanto, Nuvosport and TUV300 before but they were bulky, utilitarian quick fixes to catch the market buzz. The XUV300 charts a whole different approach. It shares much with the Ssangyong Tivoli available globally and sits on the same X100 platform. The monocoque set up uses high-strength steel and is claimed to be stiffer than the earlier cars. Yes, it does. 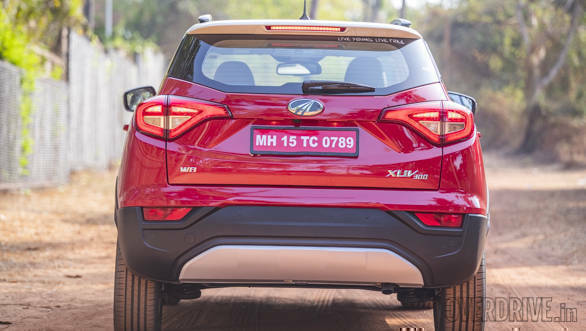 Like we saw with the Marazzo, Mahindras are no longer a mash of bulges, creases and curves. The XUV300 has a mature design for the most part. The most striking feature up front is the LED light signature. These DRLs rise up to the headlamps which too have a nice upward sweep and merge cleanly with the slim grille. The chrome studs here are a direct connection to its bigger cousin. 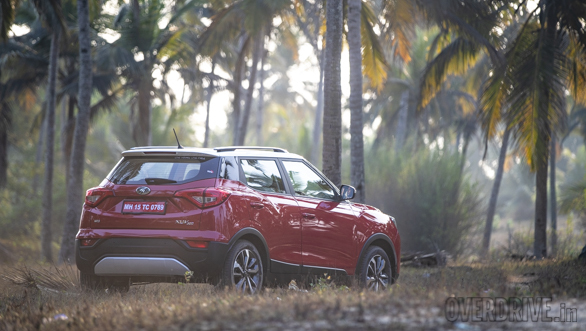 The larger air dam below and the contours on the bonnet add a dose of the requisite SUV aggression. The flat floating roof stops the car from looking top-heavy. Move below and two creases break the profile's monotony. The wheels themselves on this top-spec W8 Option car are 215/55 R17s and fill up the wheel arches wells. But the crease at the rear bulges and grows into a wide U through the bootlid, making the rear three-quarter look awkward. The truncated rear, a necessity to duck the car under four meters, and the high boot opening intensify this feeling. The rear tail lamps also could have been a size smaller but the design itself is smart, with their flowing LED elements. The XUV300 has the longest wheelbase in this class of SUVs at 2,600mm. This presents itself through the roomy cabin. Head, knee and shoulder-room is class-leading in both rows. The large front seats are supportive and comfortable. 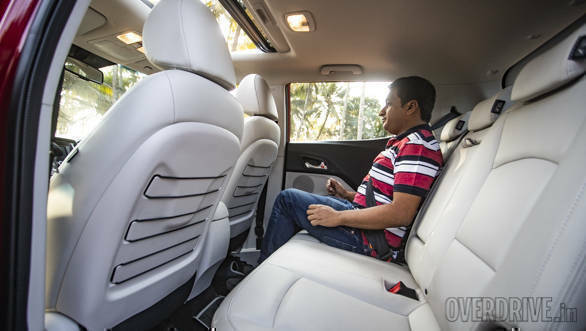 The rear seats are much the same, taller passengers might like a bit more under-thigh support. A drawback is that the front seats and high beltline for the rear windows might give rear passengers a slight sensation of being hemmed in. 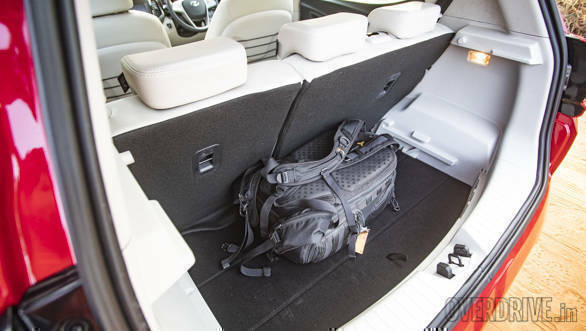 There are loads of storage spaces throughout too and the raisable boot floor is a nice touch. It compensates for the high loading lip but Mahindra hasn't shared a boot volume figure. Plastic quality and fit are good, better than what we have seen in a locally-made Mahindra. 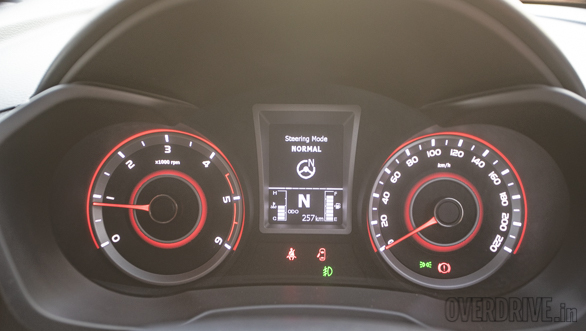 There are a few inconsistencies around the instrument cluster and around the lower part of the dash and centre console. But we really like the damped action of the glovebox, guardrails and centre armrest, these were a nice premium touch. The centre console design could have been executed better though. The seven-inch touchscreen looks small and catches reflections under direct sunlight. 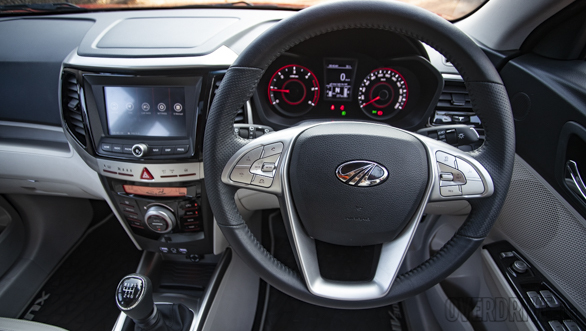 The interface is typical of Mahindra but touch functions are more responsive than ever. The thin-red buttons which control functions here are also not intuitive. Their thin shape and non-tactile feel make using them difficult, especially on the move. This is most apparent when you try to control the trip computer through one such button. What features do I get? And is it safe? This is the XUV300's party trick. The Mahindra comes packed with features previously unseen in this segment. 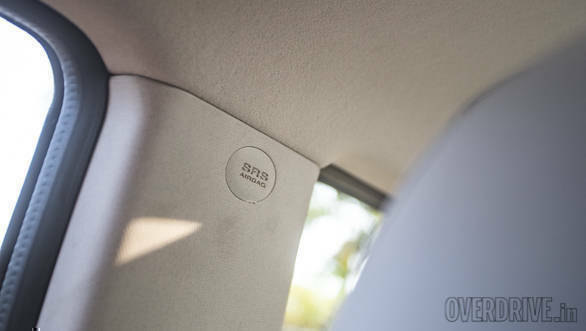 Our car had a sunroof, dual-zone climate control, rear-view camera with viewing modes, auto dimming inner mirrors, heated and powered outer mirrors, auto headlamps and wipers, keyless entry and push start, TPMS and front parking sensors, to name a few. All of these features add value to the package. 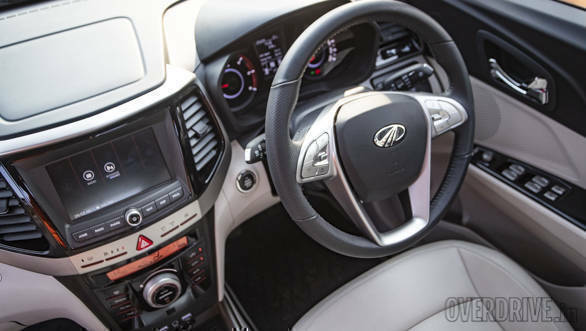 Thoughtful touches like the memory function for the climate control setting, the tyre direction display as on the Alturas G4 and various colour schemes for the instrument cluster further lift the ambience. Oversights were the absence of rear AC vents and telescopic steering adjustment. The safety tech is equally appealing on paper. 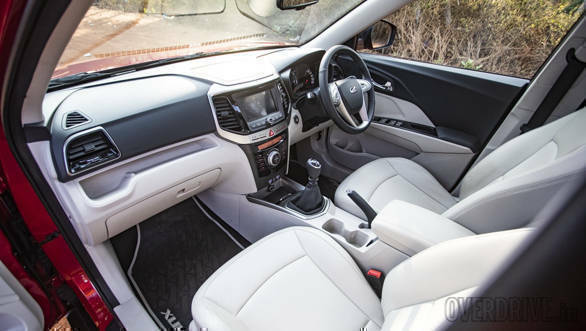 There are seven airbags, traction control, hill start assist, Isofix seats, disc brakes all around and rear fog lamps on the top variants. Standard safety tech is two airbags and all four disc brakes. 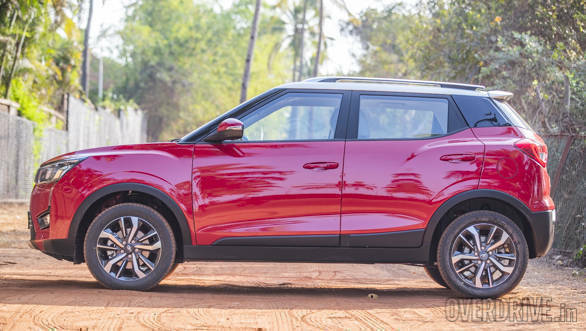 The XUV300 will need this to match the Tata Nexon's five-star safety rating, Mahindra has not given us the XUV300's score but the Tivoli has a four-star rating. And how is it to drive? We've not been in a Mahindra that drives better than this before. The defining factor is the diesel engine. This is the 1.5-litre turbocharged diesel motor from the Marazzo re-tuned to provide 117PS at 3,750 rpm and 300 Nm. There is minimal lag and the torque advantage over rivals is clear when you put your foot down. 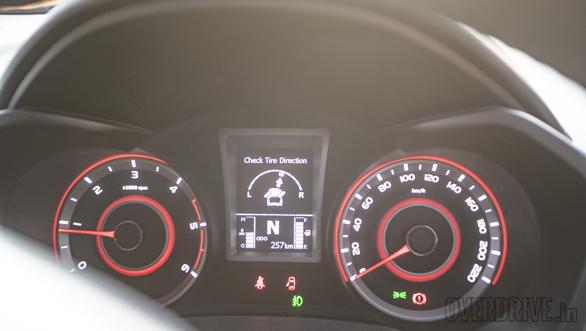 The XUV300 delivers its torque from 1,500 rpm to 2,500 rpm. This makes it very driveable. Part throttle inputs makes the car respond smoothly in city ttraffic. Faster highway passes don't need anything more than a nice jab at the accelerator. The good refinement inside the cabin provides further assurance. 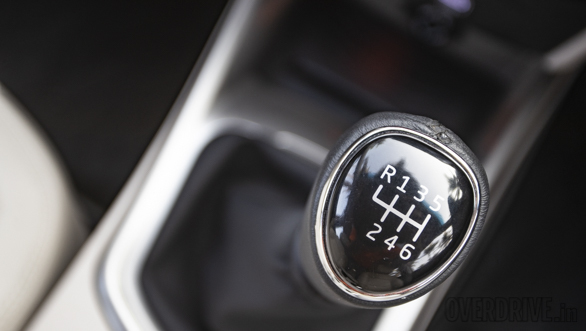 This motor is paired with a six-speed manual gearbox. The gearing makes the best use of the readily available torque and is consequently slightly tall, though not up to an extent that makes it feel too eco-conscious. You aren't working the gears much but we would have liked the throws to have been not as long and the gear lever itself could have been shorter in length. 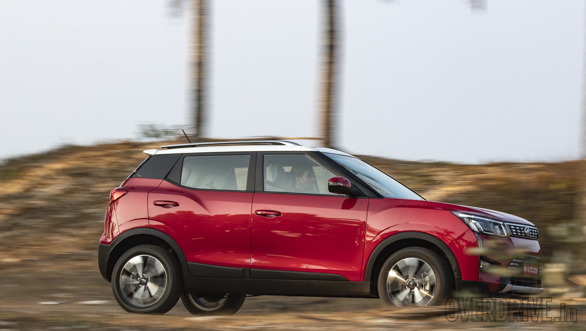 The XUV300's ride and handling perfectly complement this lively motor. The suspension is soft and well damped to absorb most road imperfections but an underlying tautness reveals itself around corners. Here the car holds its line and allows you to carry good speed. There is no drama at higher speeds too. 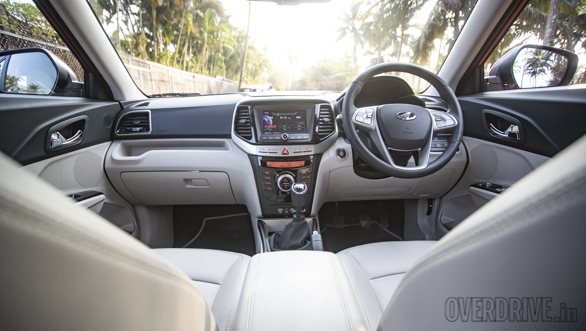 A special mention of the three steering modes that are on offer is pertinent here. In Comfort, the steering is light and well assisted, making navigating city traffic quite effortless. 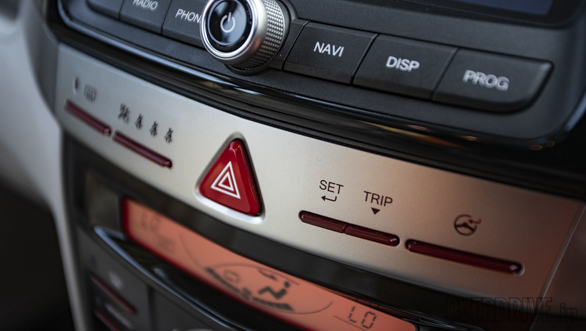 Sport weighs up the wheel significantly and gives a sense of assurance, especially around corners and on highways, but there is no change in the steering ratio. The middle setting is Normal but that doesn't provide a sizeable advantage in any situation. Pulling all this together is the view from the driver's seat. You get good visibility and the edges of the bonnet are visible, letting you place the car easily on the road. But the clutch pedal, though light in its operation, has an unnaturally long travel, making you sit closer to the steering wheel than ideal. At launch, the XUV300 will also be offered with a 1.2-litre petrol with 112PS at 5,000 rpm and 200 Nm at 2,000 to 3,500 rpm. Stay tuned for when we have a go in that. So a good buy then? Yes but with a few conditions. We don't know the XUV300's prices, fuel efficiency figures or safety rating just yet. 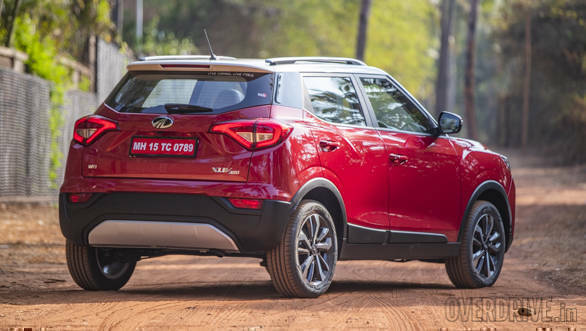 These are very important in making a car successful in this segment and the Mahindra will have to be either the best or close to the best in class in these measures to get past cars like the Maruti Suzuki Vitara Brezza and Tata Nexon. 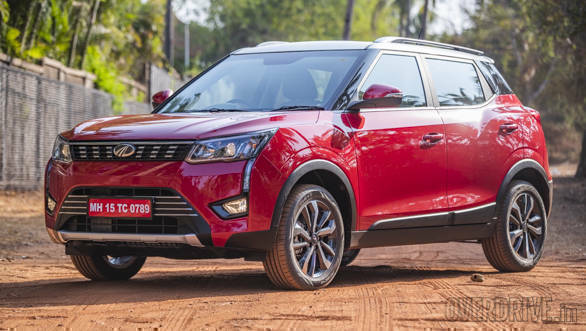 But on the face of it, the Mahindra XUV300 feels like another success for the brand. It looks smart for the most part, has good space, tonnes of comfort and safety equipment. Now factor in the driving demeanour which strikes a good balance between effortless in the city and lively when the roads get twisty. Here's a car more than happy to actively take part in the SUV wave sweeping through the car world.